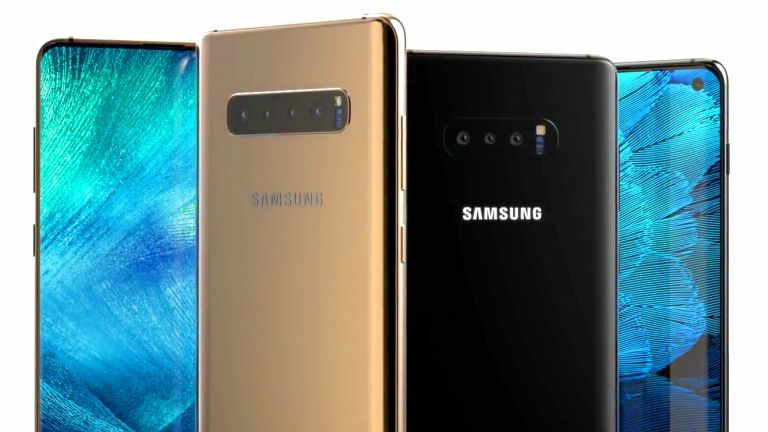 Following the latest torrent of Samsung Galaxy S10 leaks, there's not much about the as-yet unannounced smartphone we don't know ahead of the Galaxy Unpacked launch event next month. But it's one thing to read about the measurements, component models, and incremental processor improvements, it's something else entirely to see what the Samsung Galaxy S10 will look like on store shelves. Thankfully, hugely-popular YouTube channel Concept Creator has published a glossy, stylish new video that purports to show the Galaxy S10 and Galaxy S10 Plus in a Samsung-style product launch video. The handsets that appear in the three-minute clip tally with the latest rumours and reports from the supply chain. The video shows the new Infinity-O display design, which reduces the bezel around the display, relocating the front-facing to a small pinhole in the screen to allow the AMOLED panel to extend to the very edge of the chassis. The slickly-produced video also shows the dual-curved display make a welcome return to the flagship smartphone. Finally, the Galaxy S10 also shows the new multi-camera set-up widely-rumoured to appear on the back of the new handsets. These lens will reportedly improve the artificial bokeh-style blur applied to the background behind the subject of the photo, as well as offering some new camera functionality. If you want to see the official Samsung launch video for the next-generation Galaxy S smartphone, you'll have to wait until the announcement on February 20, 2019.